A major new war is threatening the region of Asia. A lot is happening in the northeast. China is set to overtake the United States as the world's dominant power over the next decade. Questions remain over Kim Jong-un's supposed dismantling of his nuclear arsenal. Japan is building up its military power again, and regional battles for ownership of lucrative oceans are intensifying. At the same time, Asia is going through a series of individual crises that feed off and escalate one another - a similar pattern that occurred before the outbreak of World War I and II. Dr Taylor argues there are four key "flashpoints" - politically unstable areas with the potential to erupt into sudden conflict - and all are situated within the continent. "The risk of major war in Asia is much greater today than most individuals assume," he warns. "All it would take is an accidental clash between the wrong two militarities, at the wrong place or the wrong time, and a highly dangerous escalation could occur. Asia has been lucky so far that it hasn't." But what are the four "flashpoints" - and how bad is the situation? A lot has been said about China's rising superpower status. According to the Lowy Institute's latest Asia Power Index, China is set to surpass the United States as the most powerful country in the Asia-Pacific region by 2030. Nowhere is this more clear than in the South China Sea, a marginal sea in the Pacific Ocean bordered by 10 competing countries. Over the past five years, the size and scale of China's land-reclamation has intensified, with satellite evidence of military build-up and threats uttered to the rest of the world - including Australia. The sea continues some of the world's most important shipping lanes, and is believed to hold trillions of dollars in undiscovered oil and gas reserves. The South China Sea has long been considered a potential outbreak spot for a global war. It's perhaps surprising, then, that Dr Taylor says the South China Sea is the least likely of the four major flashpoints to erupt into war. He notes that, while a lot of countries are involved in the ownership debacle, most of them aren't interested enough to go to war over it. But whether the West can keep the waters free in the face of an increasingly aggressive China is another thing. "Washington will find it increasingly harder to stare down Beijing in the South China Sea; ­geography favours China too strongly." Meanwhile, in the sea to China's east, a similar - if not more worrying situation - is bubbling. You probably haven't heard of this conflict in nearly as much detail. But the threat of escalating into war is just as real - if not more so - than the South China Sea. At 1.25 million square kilometres, it's less than half the size of the South China Sea, and receives significantly less media attention. But it's just as hotly contested - and includes stand-offs between Japan and South Korea, Japan and China, and Taiwan. The threat of the East China Sea escalating into war is just as real — if not more so — than the South China Sea. 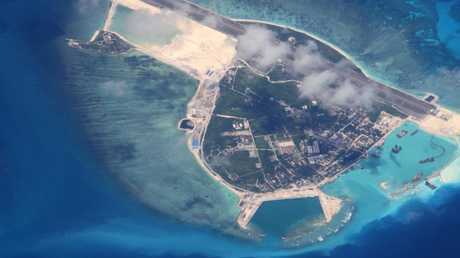 While its location makes it less relevant to Australia than the South China Sea, this body of water has caused controversy for several years, with China's vessels repeatedly sailing into the disputed waters. "The prospect of Japan developing nuclear weapons is no longer unthinkable," said Dr Taylor. 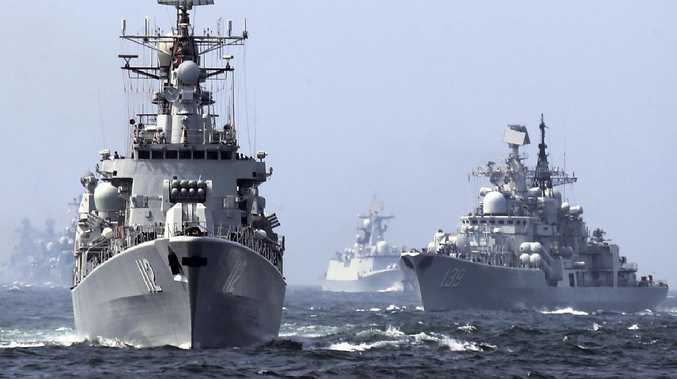 Noting a complicated relationship between China and Japan, he warns the East China Sea conflict could spark war between Japan and China over an "accidental military clash or a miscalculation", as well as "virulent nationalism" between the two countries. "Or Kim, feeling invulnerable because of his burgeoning nuclear and missile arsenal, and buoyed by the prospect of a faltering US-South Korea alliance, could launch a surprise conventional strike against Seoul with a view to reunifying Korea by force." 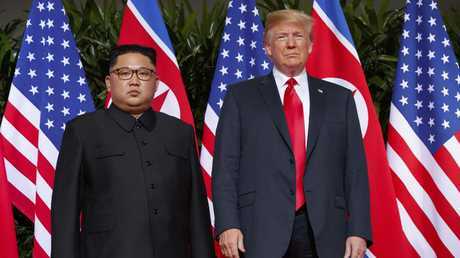 There are concerns Kim Jong-un isn’t dismantling his nuclear arsenal as promised in the June Singapore summit with Donald Trump. Even if Mr Trump and Chinese President Xi Jinping were to strike a deal and trade North Korea for Taiwan, he said it's unlikely Mr Kim would go down without a fight. "In a worst-case scenario, he (Kim) even might unleash his nuclear arsenal on the world. Troublingly, declining powers throughout history have shown a tendency to lash out." Just last week, new evidence from satellite photos revealed renewed activity at the North Korean factory that produced the country's first intercontinental ballistic missiles capable of reaching the United States. 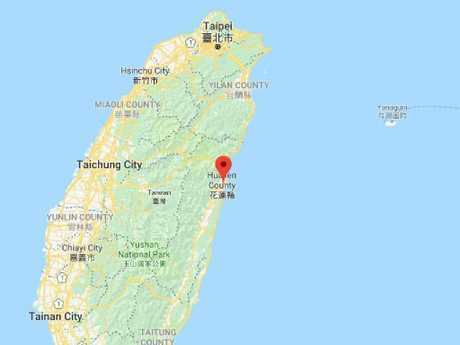 Taiwan is only 36,000 square kilometres - but the island is hugely controversial. While the US has continued to supply Taiwan with military arms for decades - despite officially recognising only China - Dr Taylor describes Taiwan as a "ticking time bomb". "America's military ability to defend Taiwan is already at its limit," he writes. "The US advantage will likely be gone in a decade … allowing Beijing to deny America access to this theatre. "America's ability to intervene in the Taiwan Strait is receding, while an attempt to re-engage carries the risk of sparking "a war like no other"." Donald Trump has taken a harder line on Taiwan recently, which Dr Taylor believes is "a reflection of his frustration at Beijing's unwillingness to deal more decisively with Pyongyang or to de-­escalate in the South China Sea". Taiwan has its own democratic government, but China still views it as part of the mainland country. Dr Taylor notes that there "seems a strange complacency" about the prospect of war in Asia, "even as the key players understand how devastating a major war would be". The good news is that finding a solution isn't impossible - but it won't be easy. 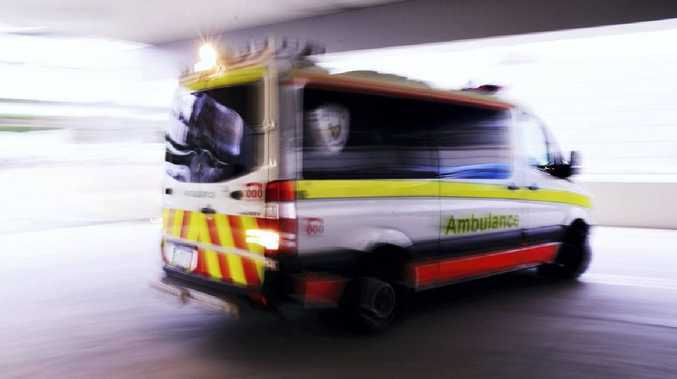 "It will require careful management of Asia's increas­ingly interconnected flashpoints, which each require subtly different methods of control," warns Dr Taylor. "More importantly, it will demand of Asia's leaders a much greater sense of urgency than has so far been shown. "Because time is running short. The doomsday clock is ticking, and midnight is almost upon us."